Claudio Montesano Casillas didn’t know what he was in for when he signed up for a tour of Old Dhaka in Bangladesh. It was only the photojournalist’s second day in the South Asian country, but already he had encountered one of the city’s less savory claims to fame. 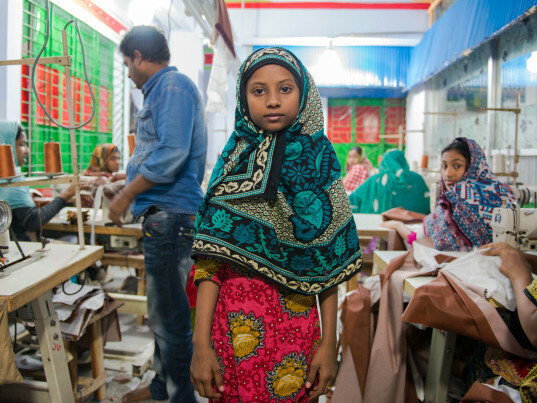 In some of the thousands of small, unregulated “shadow” facilities that litter Bangladesh’s landscape, Casillas witnessed men, women, and children toiling for hours over cutting tables and sewing machines to make clothing for the Western world. “The factories I saw did not correspond with my idea of a factory—a shiny well-organized place with large-scale production,” he wrote in a blog post for Fashion Revolution, an awareness-raising movement born in the aftermath of the collapse of the Rana Plaza garment factory, which killed 1,138 people in April 2013. Unregistered factories exist in a twilight world beyond government oversight or corporate-social-responsibility schemes. Yet they’re often employed by larger factories who find themselves unable to cope with the pressures of producing high-volume orders for “fast-fashion” retailers at increasingly lower prices. Indeed, it’s this flagrant model of subcontracting and sub-subcontracting that has created supply chains so convoluted that most Western companies are hard-pressed to identify the provenance of whole garments, let alone individual parts, materials, or finishes. With indirect sourcing, a cavalier attitude toward worker safety or wellbeing reigns. Most “shadow” factories don’t have emergency exits, fire-safety plans, or even extinguishers. Even a room with 15 sewing machines could be considered an informal factory in Bangladesh, he added. Casillas met a number of underaged garment workers, nearly all of whom had given up an education in exchange for abundant workloads. The International Labor Organisation estimates that there are about 3.2 million children engaged in underaged labor in Bangladesh. In slums, one in five children aged between 5 and 14 and child laborers, and of these, only 25 percent attend school. Child employment rates increase with age, according to UNICEF, but even about 2 percent of five-year-olds and 3 percent of six-year-olds work. 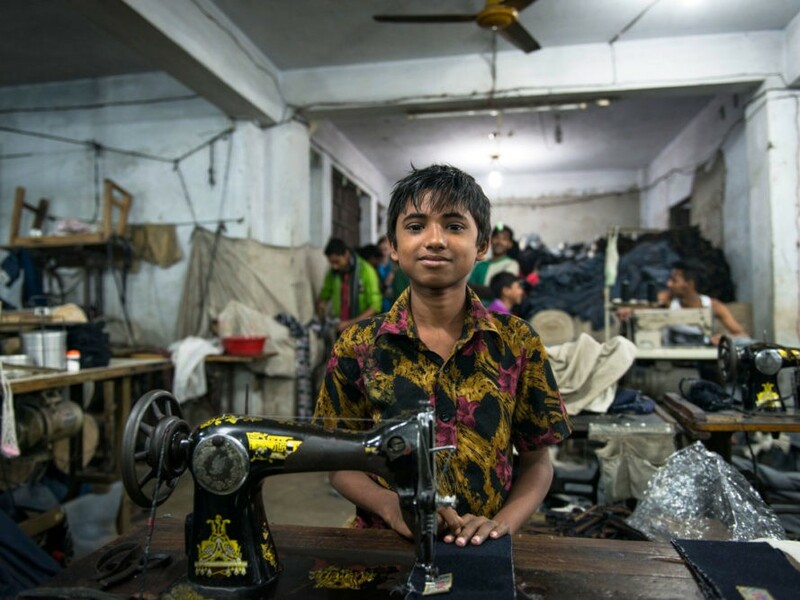 Because child laborers mostly work behind closed doors, levels of exploitation are high and more than half may receive no payment at all. “They instead receive benefits such as accommodation, food, and clothing, further reinforcing dependency on their employer,” per UNICEF. Casillas noted at least one another downside to unlicensed subcontracting: pollution. “Unregulated clothing production [causes] the extensive water pollution and leaching of toxic chemicals into Bangladesh waterways,” he wrote beneath a picture of a river. It’s almost completely black, fouled by our hunger for cheap clothes.